We are one of the accredited manufacturers, suppliers, traders and exporters of a premium range of Chrome Plated Scale. Our experts manufacture these products at our multifaceted manufacturing unit employing latest machines and advanced technology. These products are available in variegated sizes and dimensions at most competitive rates. We are a trustyworthy organization offering a wide a gamut of PVC Duct Cutter / Cable Duct Cutter. 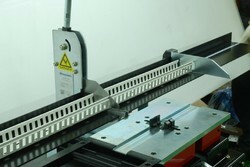 We provide an exclusive array of Din Rail Cutting Machine. 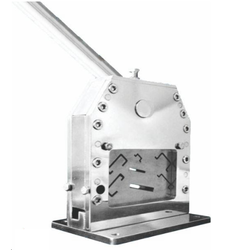 The range made available by us is manufactured employing latest technology. Also, our experienced professionals make use of high-quality spare parts and components in the manufacturing process. We offer our range in various configurations. Looking for Din Rail Cutting Machine ?